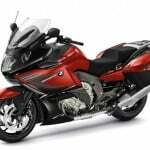 The liquid-cooled BMW R1200GS receives a slight tweak for 2015 along with new optional quick shifter and keyless ignition system. The Adventure version also gets these new options as well as new choices to lower the seat height. 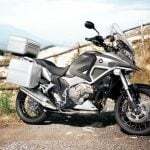 The 2015 GS receives the heavier crankshaft introduced on the 2014 R1200GS Adventure and R1200RT. Weighing two pounds more than the previous component, the new crankshaft has increased gyrating inertia, promising improved smoothness. 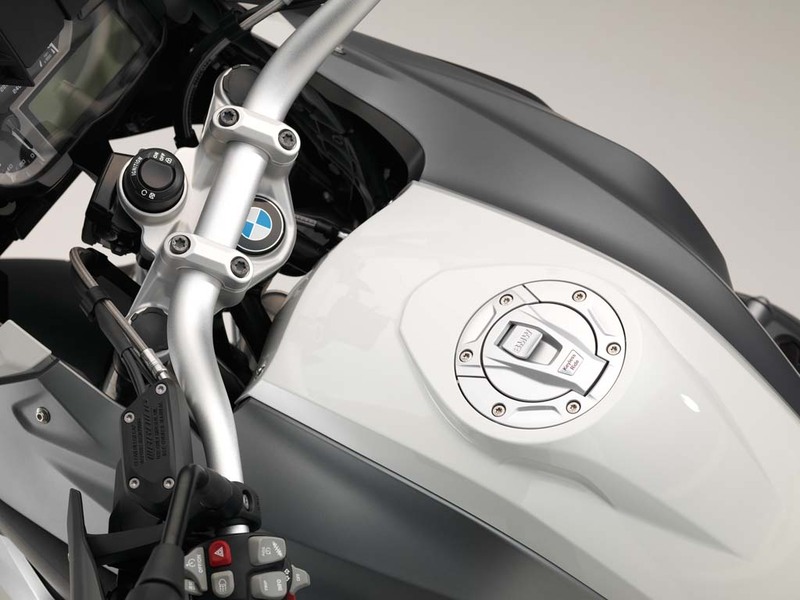 BMW’s Keyless Ride system is also new to the GS and GSA as an ex-works option. 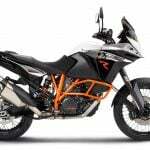 A built-in transponder allows a rider to start the engine, engage or disengage the steering lock and open the fuel filler without having to pull out the key. Also new for both models is the Shift Assistant Pro which allows for clutchless upshifts and downshifts. Upshifting can be done without having to close the throttle, allowing for uninterrupted torque. When downshifting, the engine speed is automatically matched through double de-clutching. For safety reasons, cruise control is disabled when using the Shift Assistant Pro. 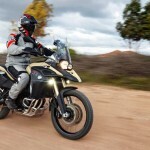 For shorter riders, the 2015 BMW R1200GS Adventure is available with an optional lowered suspension that decreases the seat height by 1.2 inches to 33.8 inches. 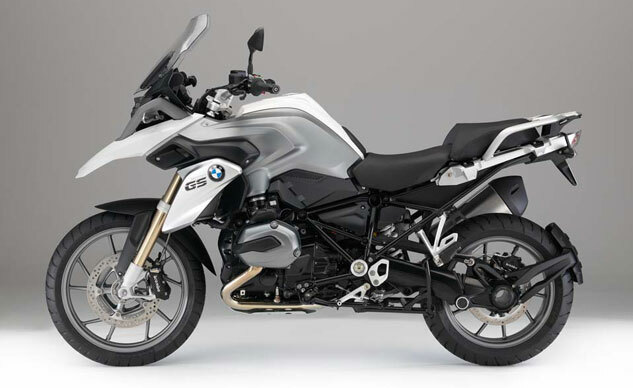 If that’s not enough, BMW also offers the regular GS’ seat as an option, further lowering the seat by another 0.8 inches. 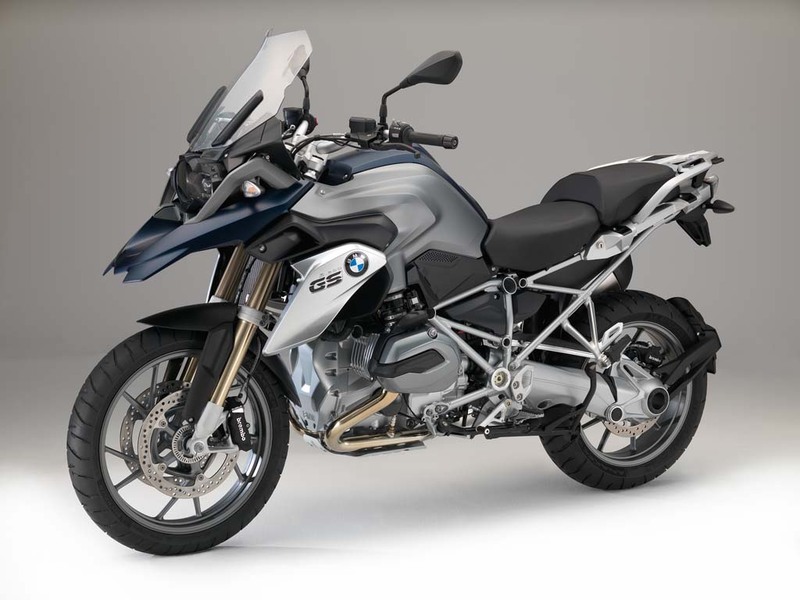 The 2015 GS also gets a couple of new paint options. The Thunder Grey Metallic and Bluefire options are no longer available, replaced by the new Black Storm Metallic and Frozen Dark Blue Metallic color schemes. 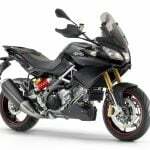 Also new is the Alpine White color (pictured at top) which comes with blacked out engine, frame and swingarm.